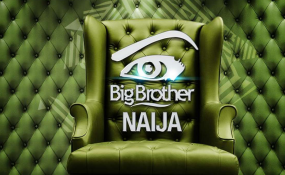 Cape Town — In case you missed it, popular reality show Big Brother Naija is set to return for a new season - wait for it - staged in Nigeria. This will be the second time the show will be shot outside South Africa since it began in 2006. So who else is ready for the fourth season of #BBNaija? The reality series has in the past attracted some funny, dramatic, weird and wonderful characters that have kept viewers glued to the screens and the fourth season promises to be bigger, wilder and filled with even more drama. The show will again leave many glued to their screens and at the edge of their seats due to all the suspense and intrigue between housemates who are confined in a house under constant scrutiny. Housemates will face weekly elimination until the very last person and viewers will also vote to determine who goes home and who stays. Popular media personality, Ebuka Obi-Uchendu will remain the host. Auditions will be held on February 1 and 2 in Lagos, Abuja, Warri, Benin, Port Harcourt, Ibadan, Calabar and Enugu. Miracle Igbokwe emerged winner of the 2018 edition, taking home at the $125,000 grand prize and a sports utility vehicle. The reality show is expected to air after the 2019 elections. Now we wait to see who makes the cut and gets to thrill and entertain us!